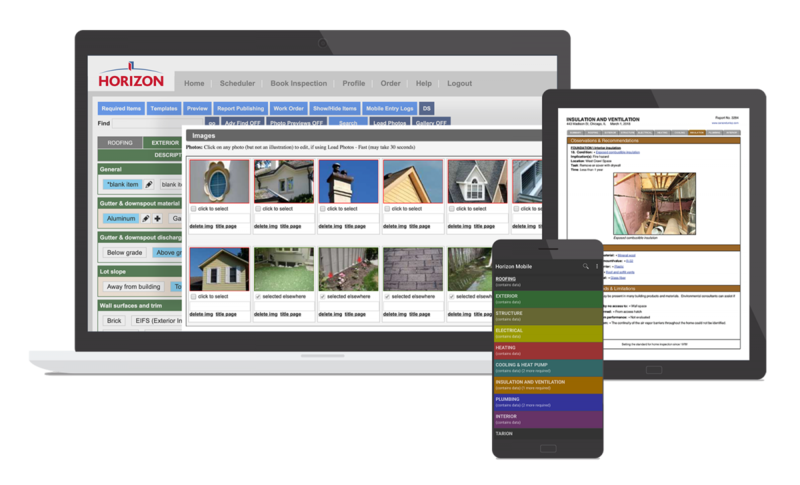 Horizon is the only home inspection software that lets you create brilliant reports, provide great service, run a smart business, market for growth — and spend less time doing it all! Impress clients with clear, visually-stunning reports. Horizon lets you create them fast, online or offline. Save time and avoid mistakes with Horizon. Enter information once and it appears everywhere. Collect data and add photos fast — anywhere, anytime on Android or iOS, online or offline. Free with Horizon. Promote your business while you sleep with Horizon’s automatic targeted and timed marketing emails. Get free technical support and free personalized training with Horizon and join our community. With Horizon, you can send and store your reports effortlessly and securely with a click of a button. Let Horizon take care of sales, contract and payment details so you can keep on top of your business. Creating your Horizon trial account. Horizon is brought to you by Carson Dunlop, a consulting engineering company dedicated to home inspection since 1978. We know what it takes to be successful in the home inspection business, and Report Writing is a big part of that. We designed Horizon to make you look good and grow your business effortlessly.